Here is the followup to my post on Friday concerning the 100 pair feeder cable replacement. Things went very smoothly, for the most part. There were some issues, but we handled them as they came up, and we finished the project by 3 PM Saturday afternoon. My main area of concern was removing the old 100 pair cable and getting the new 50 pair cable successfully installed. Most of the conduit is 4″, but there is one 400 foot section that is only 2.5″. 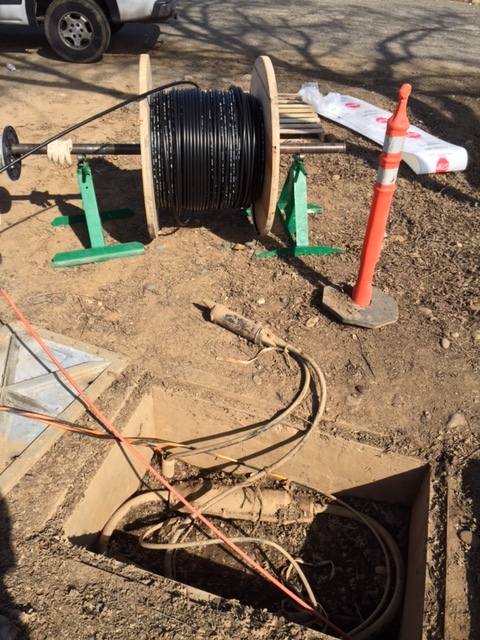 With both the 100 pair and fiber installed, there is no way we can get the 50 pair installed first. We needed to remove the 100 pair to make room, which means cutting the 100 pair, and that means no going back. 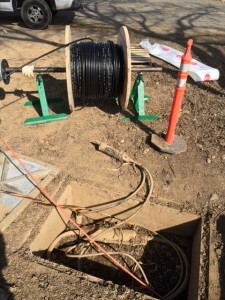 So we did get the new cable installed from the main building through the first two conduits (all 4″), prior to making any cuts on the old cable. 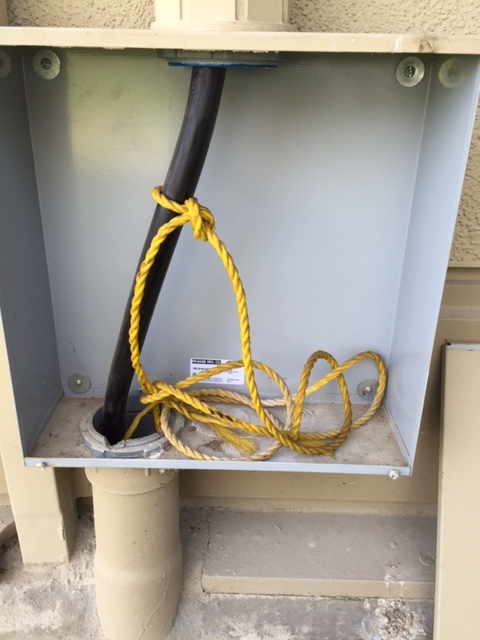 Here is a picture of a pullbox mounted on the side of the main building…note the yellow pull rope already installed. That was nice of the previous vendor many years ago. However, we used the pull rope to install mule tape, which I like better…it doesn’t stretch, plus it is more resistant to creating heat which could burn through any existing cable, such as the fiber Internet circuit (that would not be a good thing at all). 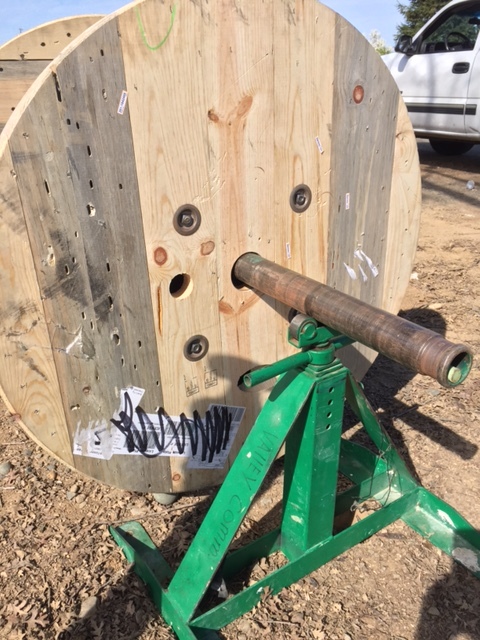 Saturday was termination and testing, which my vendor completed around 1 PM. I then had to move any phone lines that had been terminated on pairs 51 – 100 of the old cable, since they no longer existed. After that, I then tested every single line and the PRI circuit, and verified proper operation. No issues were encountered. I’ll return on Monday to complete my documentation and a bit of remaining cleanup. This entry was posted in Network 101 on March 15, 2015 by sr71rocks. Man, Im glad things went well for you on this project. I usually dont have the best of luck when it comes to cable runs. You know, the concrete has to be dug up because they cant get the cable through. Or there is water in the conduit, or you name it.